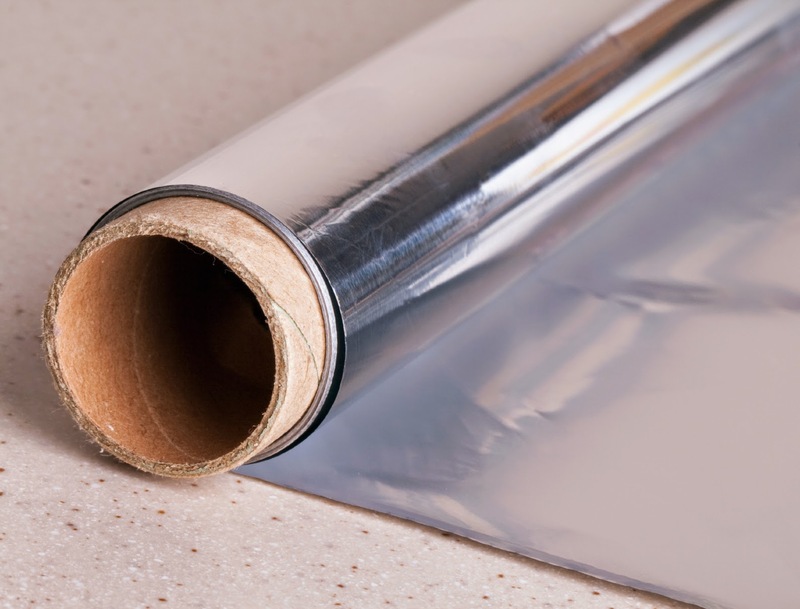 Recycling Works: Is Aluminum Foil Recyclable? Foil made from a very thin sheet of tin, widely known as tin foil, was commercially available before its aluminum counterpart. Tin foil was marketed commercially from the late nineteenth into the early twentieth century but proved to have some kinks to iron out. Tin foil was far less pliable than aluminum foil and tended to give a slight tin taste to food that was wrapped in it. The term "tin foil" survives in the English language as a generic term for the newer aluminum foil and proved to be useful for other things than just food packaging. In fact, the first audio recordings on phonograph cylinders were made on tin foil. Tin was then replaced by aluminum in 1910, when the first aluminum foil rolling plant opened. Aluminum foil is regular aluminum prepared in thin metal leaves. This foil is pliable, and can be readily bent or wrapped around objects. It also had no negative effects on food that was stored in it. Aluminum foil, just like aluminum cans, is perpetually recyclable as long as it is clean and free from food residue. When food residue is left on it, the entire batch of aluminum can become contaminated. As long as you can rinse or clean the food off of aluminum foil, you can place it right into your regular recycling. For more information on recyclable items visit www.wasteawaygroup.com. What Is A Bag Ban?